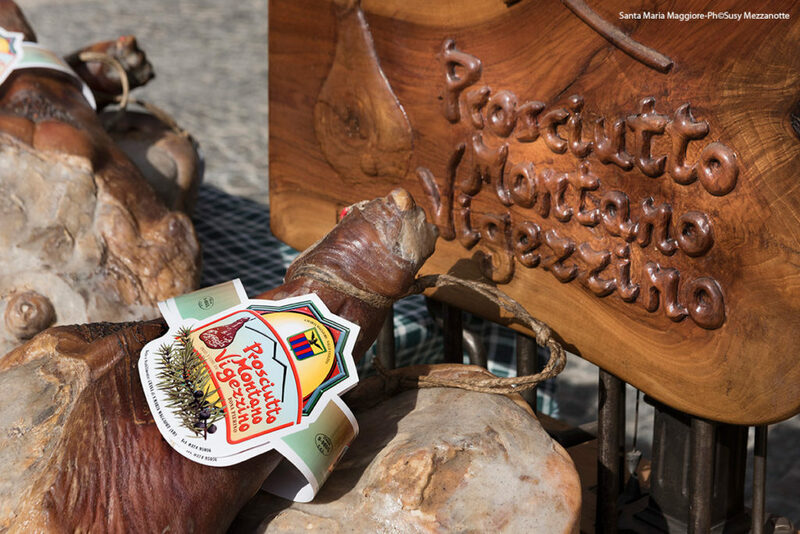 Santa Maria Maggiore offers its visitors excellent food products that are strongly influenced by the traditional mountain recipes: few and poor ingredients are mixed by local producers following ancient and traditional methods in order to obtain high-quality products! Santa Maria Maggiore is waiting for you for a tasty holiday, thanks to its excellent food products. The culinary tradition of this alpine village is influenced by the ancient mountain recipes with few and “poor” ingredients. You will find here excellent food, prepared by small local producers. Discover here some of the traditional food products that you can taste and buy in Santa Maria Maggiore. It is an ancient recipe handed down from generation to generation among the families of the village. In 2016 it obtained the “De. Co” (Denominazione Comunale di Origine) label to preserve the traditional preparation of the recipe. 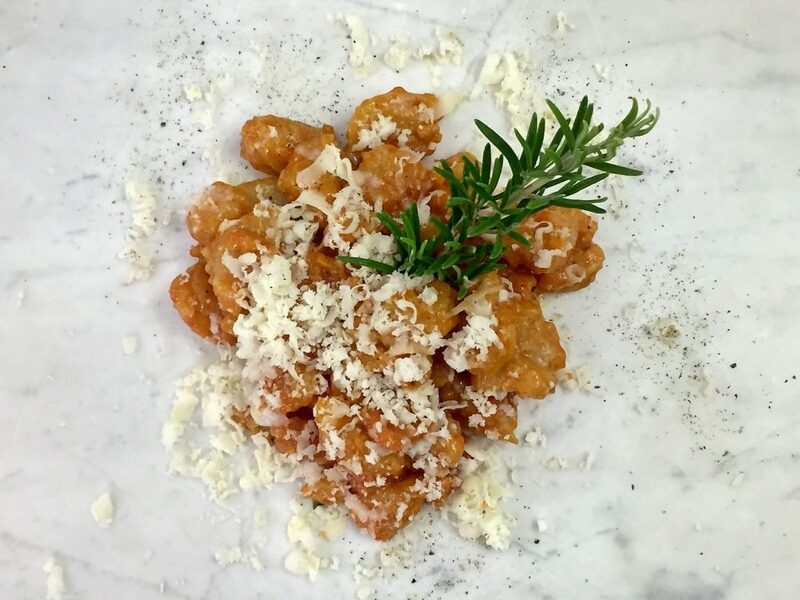 Gnoch da la Chigiàa (a name from our dialect, which means “gnocchi from the spoon”) are prepared with a thick mixture of white flour, water and salt. The dumplings are formed using two spoons and then put into boiling water. 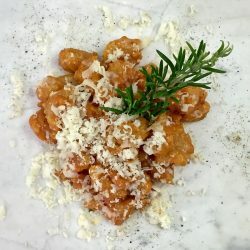 According to the tradition they are dressed up with butter, local cheese and sage (or other spiced alpine herbs), or with fried lard and local cheese. But there are other tasty suggestions: they can be served also with sausage and sparrow-grass or with Savoy cabbage and bacon. To see the document of the resolution to award the De.Co label, click here. 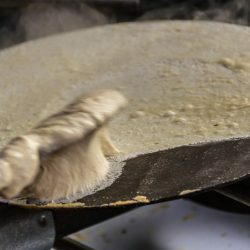 “Stinchéet” is probably the most popular recipe of Valle Vigezzo: a thin sheet of special mixture of flour and water that is cooked on a hot iron plate, then buttered and salted. It can be tasted in some restaurants or pastry shops of Santa Maria Maggiore. 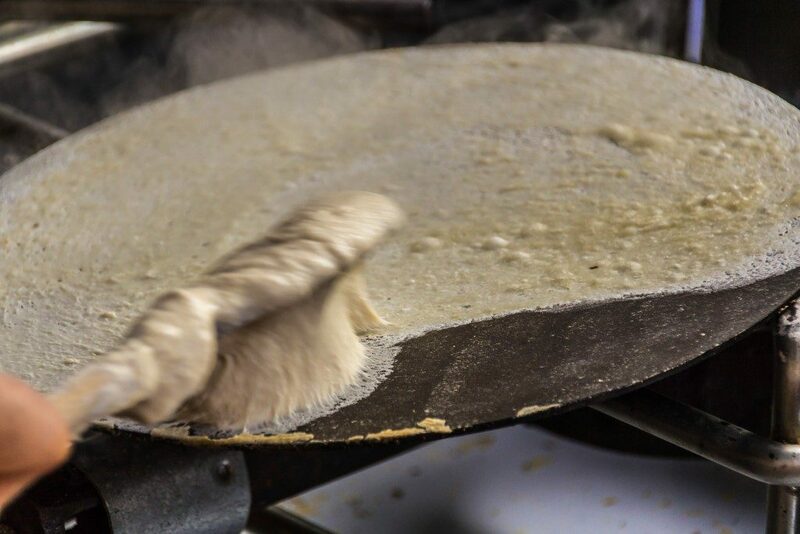 However “stinchéet” are usually prepared during the most important events that are organized in the village and they can be considered the most important local street food. In 2011 they received the “De. Co” (Denominazione Comunale di Origine)label to preserve the traditional preparation of the recipe. For further information about the De.Co. Register click here. For further information about the appointment of the commission and the details of this product click here. “Prosciutto Montano Vigezzino” is the traditional ham produced in Valle Vigezzo following an ancient family recipe. It is produced in Crana by Pierino Bona. Italian high-quality raw-ham is slightly smoked and juniper berries are used during this process to give the ham its unique taste. The accurate methods of salting and aging guarantee the quality of the product. It has recently received the “De. Co” (Denominazione Comunale di Origine)label to preserve the traditional preparation of the recipe. 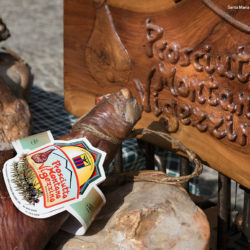 You can buy “Prosciutto Montano Vigezzino” directly from the local producer (at the following address: Via G.P. Femminis, 36, Crana, Santa Maria Maggiore) or in some of the shops of Santa Maria Maggiore. In 2000 “Cooperativa Agricola Valle Vigezzo” founded “Latteria Vigezzina”, where the milk produced by all the partners is transformed into delicious cheese by Luigia, the young dairywoman. 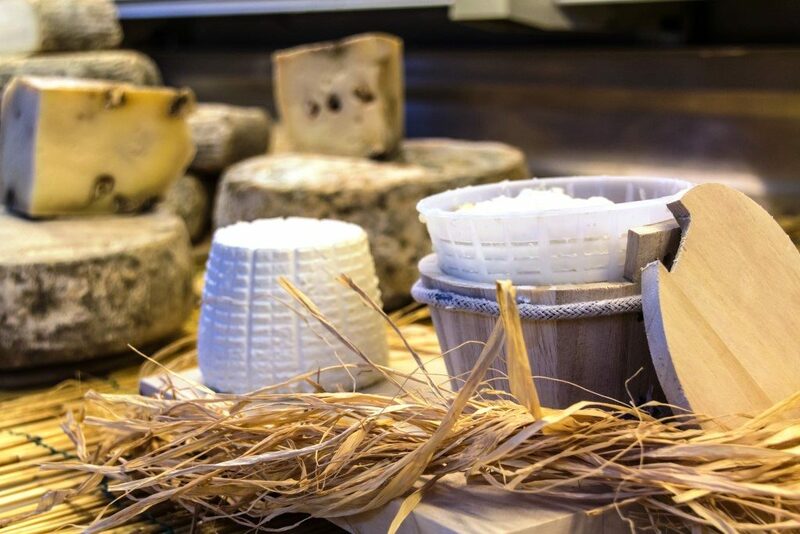 The dairy proposes a selection of cheeses for every taste, produced following the traditional alpine methods. 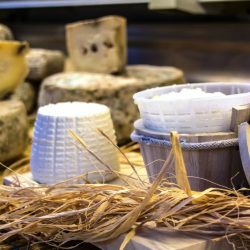 Blue-veined cheese, fresh or seasoned cheese from goat and cow milk, one of the most tasty ricotta cheese of Piedmont, excellent yoghurt and delicious butter can be found here. In the dairy shop you can also buy local pork salted meat of any kind and local honey to be served with cheese. These are two traditional cakes of Santa Maria Maggiore. 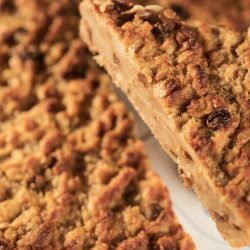 “Torta Pan e Lac” with milk and bread is a perfect example of few simple ingredients mixed together to obtain a delicious cake to satisfy the tastes of children and adults. “Fiacia” is a shortcrust cake, whose main ingredient is butter. 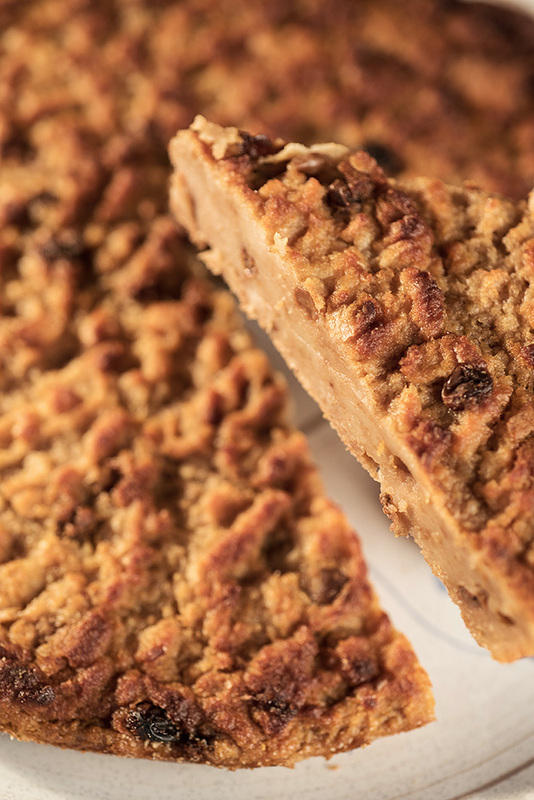 Both “Torta Pan e Lac” and “Fiacia” are sold by the pastry shops of Santa Maria Maggiore and proposed in the menus of the local restaurants. It is a traditional dish of Valle Vigezzo known all over Italy. 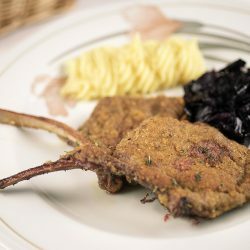 The goat kids are bred in Valle Vigezzo and they are quite renowned for their tender and tasty meat. It obtained the regional PAT – Prodotti Agroalimentari Tradizionali – label that guarantees the quality of the product. Every year on Palm Sunday Santa Maria Maggiore hosts the Goat Kid Fair – Mostra del Capretto Tipico Vigezzino. 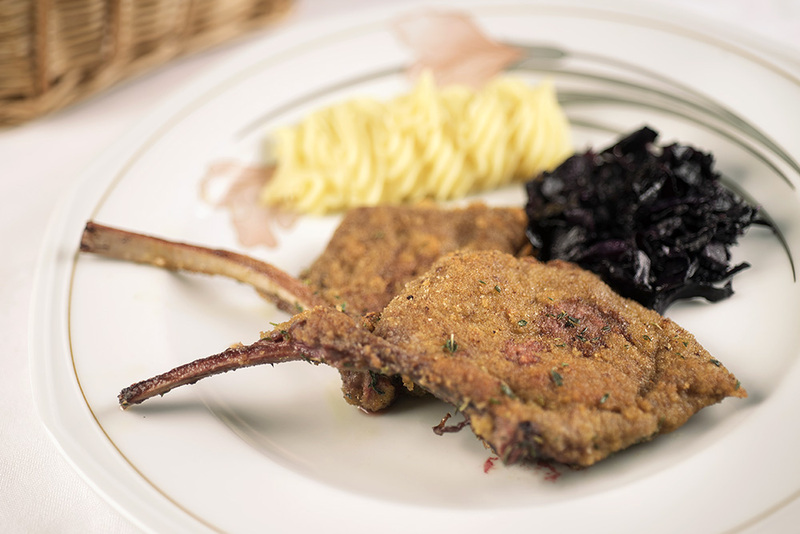 You can taste this dish during Easter time in the restaurants of Valle Vigezzo or buy it at the local butchers’.